We check out the new Motorola T800, a radio with some new and original features, including an app for smartphones and a fascinating and innovative display. We tell you about the new Motorola Talkabout T800 Two Way Radio w/ App Support, an FRS radio with some new and original features. We’ll talk about its capabilities, discuss the display, and tell you we why think it’s a step forward for FRS radios. 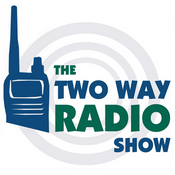 This entry was posted in Two Way Radio Show Podcast and tagged Motorola, Motorola Talkabout, T800 on December 7, 2018 by Rick.